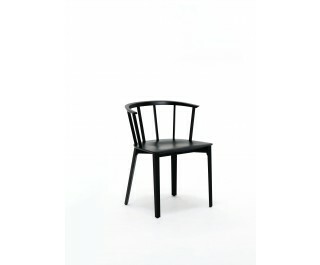 Chair in ash reinterpreting classical shape in a contemporary and unconventional way. With curved spindled backrest, feet with triangular section and slightly shaped seat, the chair is characterized by calibrated proportions and close attention to detail. Available in natural or black ash tinted. The chair is EN 1022 certified.